Yachts start off from Hong Kong harbor (above) in last year’s Rolex China Sea Race, which ends in Subic Bay, Zambales. The 1st Hong Kong to Puerto Galera Race will be held next month, ending up in Puerto Galera in Mindoro, which offers numerous eco-adventure tourism sites (left). 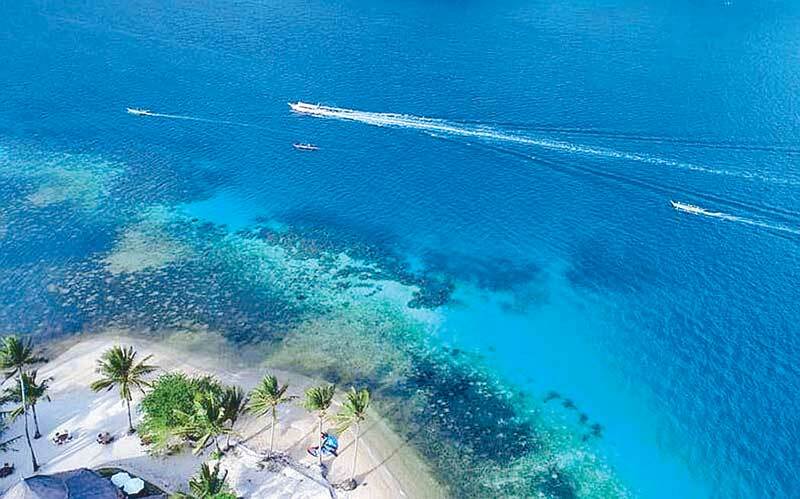 THE DEPARTMENT OF TOURISM (DOT) IS SET TO host the first Hong Kong to Puerto Galera yacht race next month, as it aims to develop the country’s adventure tourism product. “We are elated having re- ceived yet another recognition of our world-class tourism attractions, specifically eco-adventure tourism sites,” Tourism Undersecretary Benito Bengzon earlier told The STAR.